Firefighters battle a stubborn blaze in Hawthorne on Friday, May 27, 2016. HAWTHORNE, Calif. (KABC) -- A three-alarm fire broke out at the 99 Cents Only store in Hawthorne Friday. The blaze erupted at 11811 S. Hawthorne Blvd. at 3:34 p.m., and flames were seen shooting through the roof. 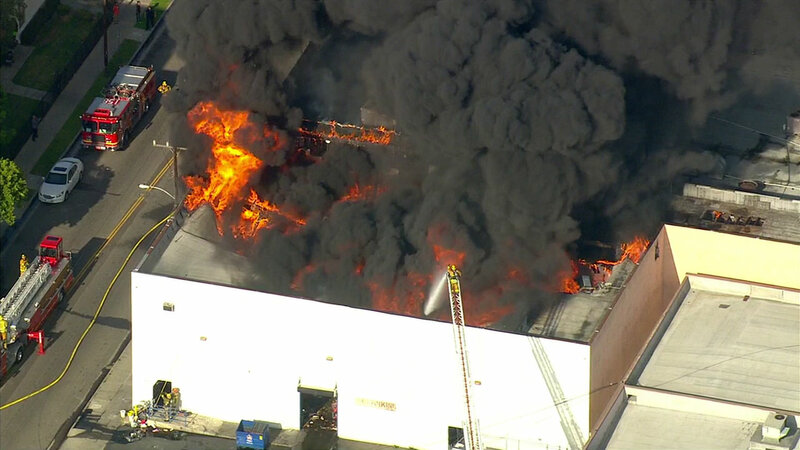 Nearby businesses were evacuated as the fire continued to rage. Crews were still pouring water on the building as of 6 p.m., but open flames were no longer visible.